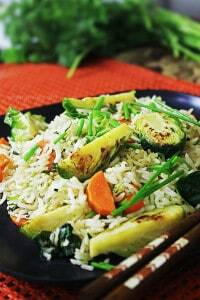 Isa Chandra Moskowitz and a delicious Brussels Sprouts Fried Rice recipe from the book. More than eight years ago, when I embarked into this vegan lifestyle with some slight trepidation, I did not have in view where all this would lead me nor what changes it would incur. I became vegan out of compassion after watching videos on animal abuse and crying myself to sleep on that night. The next day, I knew there was no going back. It was very hard for me to even finish the remaining animal products that I had in my fridge and pantry; I did throw some out. Before watching these videos, I had already been pescatarian (and dairy-free) for about six months. I really don’t know what triggered this in me but I had wanted to be a vegetarian since I was quite young, when I was thirteen or fourteen. Still living with my parents at that time made it practically impossible. But had I seen these videos back then, I would have done whatever it takes not to eat animals. So, my only regret about becoming vegan is why had I not realised and done this before. Like any new vegan, back then on the following day, I started doing a lot of research on the subject — anything related to the current way I was doing things and whether that was related to animal abuse. The change in diet came first. Then, other lifestyle changes followed and is still an ongoing process. I found the diet part to be the easiest one to adapt to. The one thing I thought I’d miss was cake! No, it was not even the cheese! I told myself, if I can find a good cake recipe with no eggs, I can go vegan for life. I had tried some recipes, before going vegan, where they used yeast as a leavening agent and that made me gag; it wasn’t up to standard. So, cracking the eggs and beating them with sugar was the only way I knew back then how to make cakes. So, my research led me to many online forums (at that time as social media had not taken over the internet yet) where I came across discussions, sharing of information and recipes. 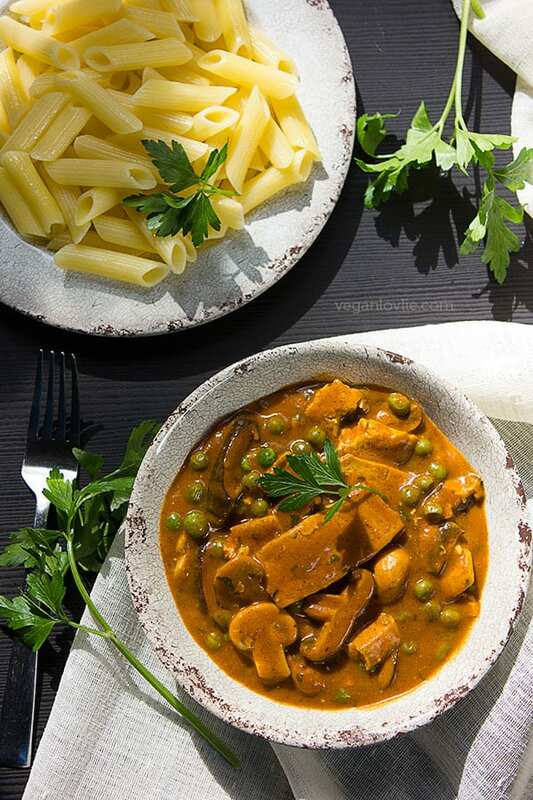 There were only a handful of vegan websites and blogs and I naturally came across Isa Chandra’s website Post Punk Kitchen or more commonly known as ThePPK (edit 2019/03/05: the PPK no longer exists). I made my first vegan cake, cookies and many more from Isa’s recipes. The cooking part was not difficult for me. Prior to being vegan, I already really loved cooking and even as a student I was whizzing up scrumptious meals. 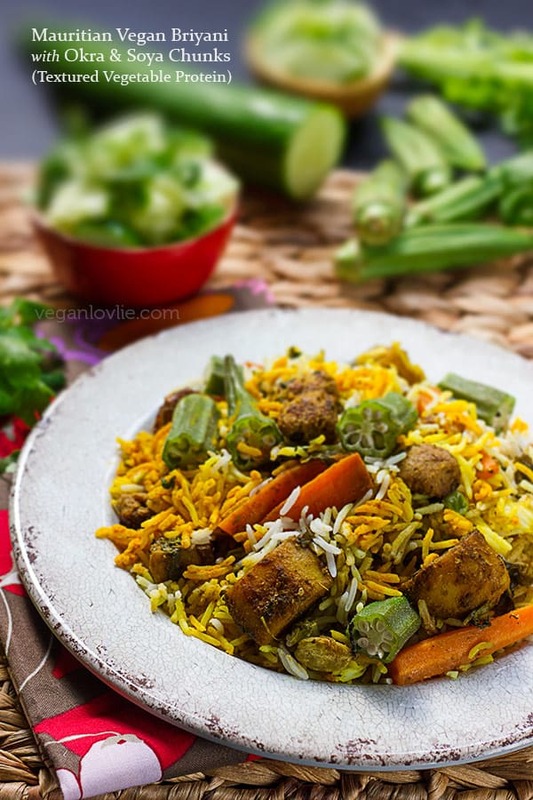 So, I did not have to learn from scratch and very soon I was veganising all my favourite childhood recipes opening up a new dimension of creativity. I believe that if someone can make a vegetable-based meal taste great without any processed ingredients, then this person should be revered as a chef! This is how I (secretly) judge a restaurant’s chef whenever I go out to dine at non-vegan restaurants. If they can make a great tasting vegetable dish, they truly live up to their title. And I think one of these persons is Isa Chandra Moskowitz. Isa needs no introduction, I believe, in the vegan world but if you are not familiar with her, she is the author and co-author of eight vegan cookbooks, among which I already own Veganomicon (aka the vegan bible) and Vegan with a Vengeance (2007 + 2015 editions). While I already had the 2007 edition of Vegan with a Vengeance, I was sent the new (2015) edition by the publisher for a review. This cookbook is celebrating its tenth anniversary and the updated edition contains a new foreword, new recipes, and tempting full-colour photos throughout. Instantly what struck me with the new edition is the re-design of the whole book from cover to page layout, graphic elements and choice of typography. While this may not be of interest perhaps to many, to me it is one aspect that I always consider in a book apart from the content itself of course. 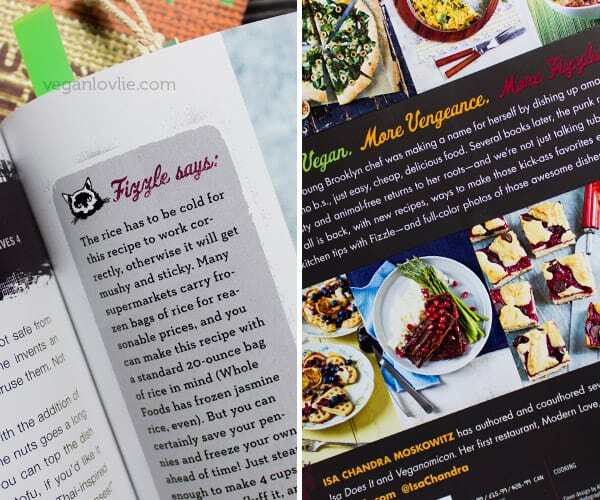 Having worked as a Graphic Designer on the page design and layout of many recipe books in particular in the past, I cannot help but analyse the visual appeal of a cookbook whenever I have one in my hands. The trendy grungy feel paired with the choice of the distressed-style font added a lot more personality to the book along with the tempting cover image. Now as for the content itself, this cookbook is a celebration of an array of mouthwatering comfort food presented through reliable and easy recipes. Isa makes an introduction about the updates and changes in this new edition. 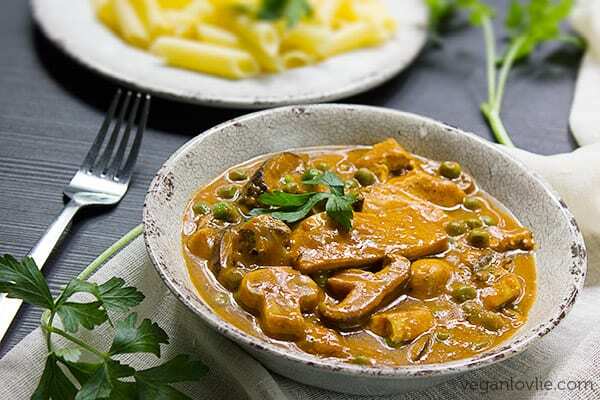 Some of the changes include easier recipe directions and a shorter list of ingredients but with no comprise on the final dish. Her cute cat, Fizzle, provides us with useful tips throughout the book. Then, there is a section on Tools and Kitchen Stuffs which details out the tools that she uses and what she recommends. I think most kitchens would have most of the basic tools that she suggests (unless you are just starting out then it is a good guide too) so that is one more plus side aside from the recipes in this book. Isa also takes us through her pantry as a guide to the basics, staples and must-haves of a well-stocked vegan pantry. 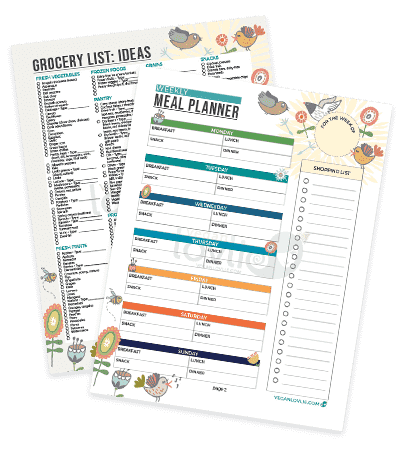 Recipes in the book fall into one of these categories: Brunch, Muffins and Scones, Soups, Little Meals, Finger Foods and Sammiches, Sides, Pizzas and Pastas, Entrees, Cookies and Bars and finally Desserts. A lot of the recipes in the Sides and Entrees category can easily be accommodated as mains just by increasing the portion size. One aspect that I like about Isa’s recipes is the ingredients that she uses. I’ve been following and making a lot of her recipes like mentioned before since a long time, and Isa has been writing them practically since the dawn of the vegan era, at a time when fancy ingredients had not yet been seen on the market. So, ingredients are just a myriad of herbs, spices, vegetables, beans, legumes, all whole and unprocessed foods (or just minimally processed like tofu); she has even reviewed some of the recipes to no longer include vegan butter and she uses coconut oil instead. The ingredients are also on the inexpensive side and are readily available in the stores (well for a western audience although most ingredients, I believe, can be found quite easily everywhere else). 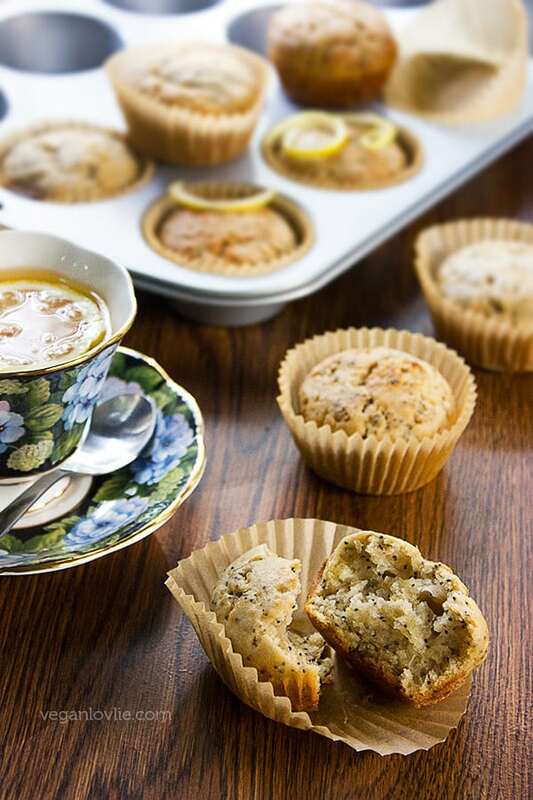 So, the recipes that I have tried so far in the book are the Lemon-Poppy Seed Muffin, the Chocolate Chip Cookies (not pictured because I ate them all! 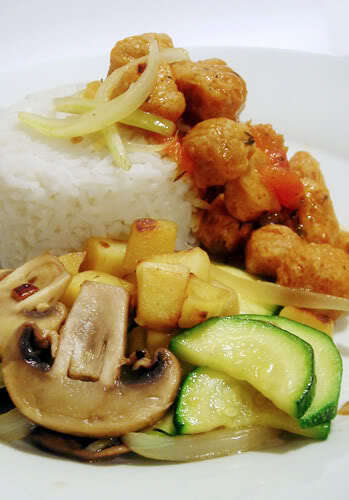 ), the Seitan-Portobello Stroganoff and the Brussels Sprouts Fried Rice which I am sharing the recipe below. I love each of these recipes even though I did not follow them to the letter. I allowed myself some substitutes based on what I had on hand and omitted a few ingredients to which I am allergic. 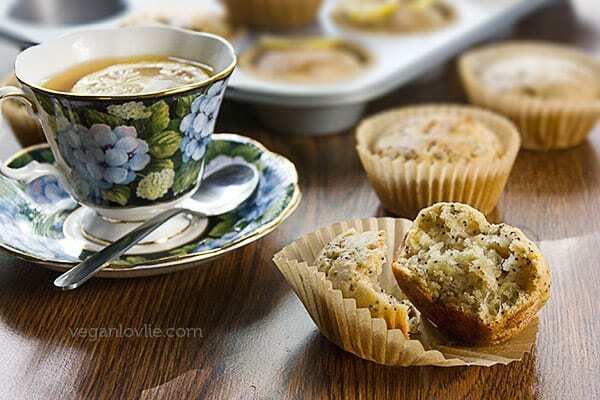 I thought the Lemon-Poppy Seed Muffin had just the right amount of sugar for my taste; very often they tend to be too sweet. It has been a while since I made some muffins and they were very welcomed. As for the Chocolate Chip Cookies, I thought they were a tad bit too sweet but nothing I couldn’t devour. I had made several other cookies from the previous edition and I loved them all especially the Chocolate Thumbprint Cookies. 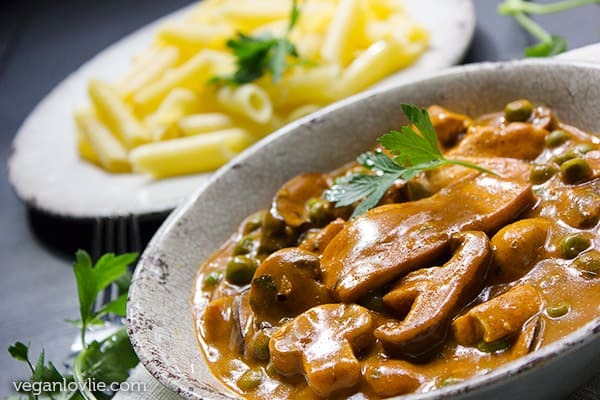 As for the Seitan-Portobello Stroganoff, I substituted the seitan with tofu and the portobello with shiitake mushrooms as these were what I had on hand. The sauce turned out really tasty even though I did not use any red wine in mine. Seriously, I really thought this was one spectacular dish, something I would bring to a potluck or that I would make if I have people coming over. I had it over penne instead of fettuccine as the recipe suggested and it was so delicious. This one is something that I would definitely make again. The Brussels Sprouts Fried Rice was another one that I really enjoyed. The dish comes together really quickly. I did leave out the pine nuts because I am allergic to them but I can imagine if you do add them in, they give the dish more depth of flavour and a bit of crunch. 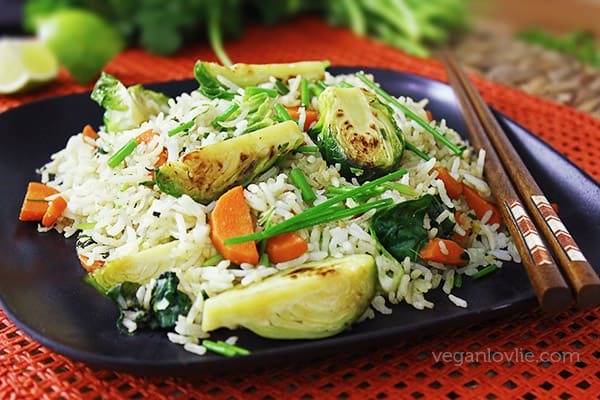 I love Brussels Sprouts and I thought they worked well in this rice dish. Here is my video review of the book and the second video is the Brussels Sprouts Fried Rice recipe. 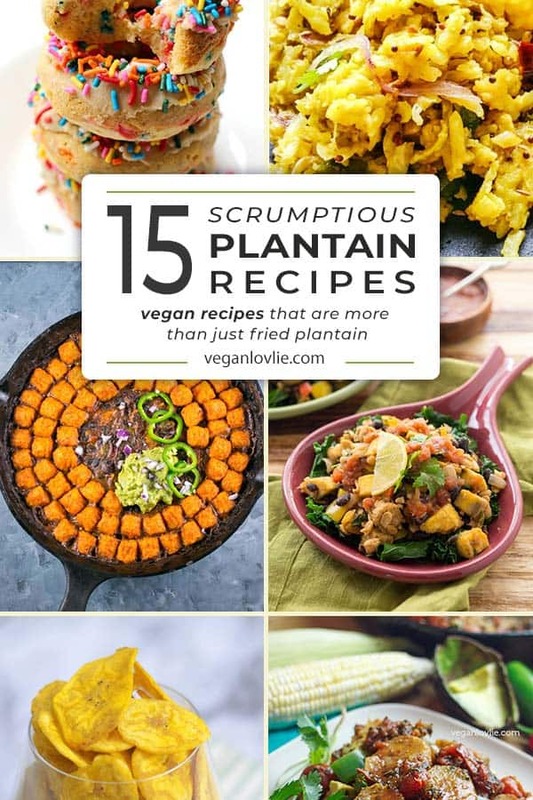 Have you tried any recipes in Vegan with a Vengeance? How did you like them? This recipe is from the vegan cookbook Vegan with a Vengeance by Isa Chandra Moskowitz. Published here as a review, with permission from the publisher. Preheat a large heavy bottomed pan (preferably cast iron) over medium-high heat. Saute the Brussel sprouts and carrots in 1 tablespoon of oil for about 5 minutes, until Brussels sprouts are lightly charred. Toss in the pine nuts and cook for two minutes, tossing often, until toasted. Transfer everything to a large plate and set aside. Lower heat a bit to medium. In 1 teaspoon oil, saute the basil, cilantro, scallions, garlic and ginger for about a minute. The herbs will wilt and everything will smell aromatic and wonderful. Now add the rice, red pepper flakes and the remaining 2 teaspoons oil and cook for about 5 minutes, tossing often. Add the Brussels mixture back to the pan, and drizzle in the soy sauce, lime juice and agave. Cook for 3 more minutes or so, until rice is lightly browned. Taste for salt. Serve with plenty of Sriracha! The rice has to be cold for this recipe to work correctly, otherwise it will get mushy and sticky. Many supermarkets carry frozen bags of rice for reasonable prices. I’ve made this recipe with a standard 20 oz bag of rice in mind (Whole Foods has frozen Jasmine rice, even.) But you can certainly freeze your own! Just steam it up, fluff it and place in a mesh strainer. Just sticks the strainer in the fridge to cool completely, that way it will cook quickly and evenly. Then place rice in a freezer bag and freeze until ready to use. I always keep a bag at the ready for quick weeknight meals, veggie burgers, what have you. For this recipe, you can just toss the rice into the pan frozen. I love the richness of coconut oil here, but if you wanna use another veggie oil, I won’t be mad at you. If you’re not feeling the pine nuts, try some roasted cashews! The agave is only for the very very slightest hint of sweetness to elevate the flavors. If you don’t have any, dissolve some sugar in the soy sauce and that’ll work just fine! Aw I love this post! It reminds me of when I first went vegan. I spent two years floundering around on VegWeb before I found The PPK and VWAV. Those discoveries changed everything. We don't cook from VWAV very often (our copy is so battered), but it remains one of our favorites. Isa Chandra rules! I started following her and loving her recipes even before I became vegan. She knows her stuff. Nice photography! 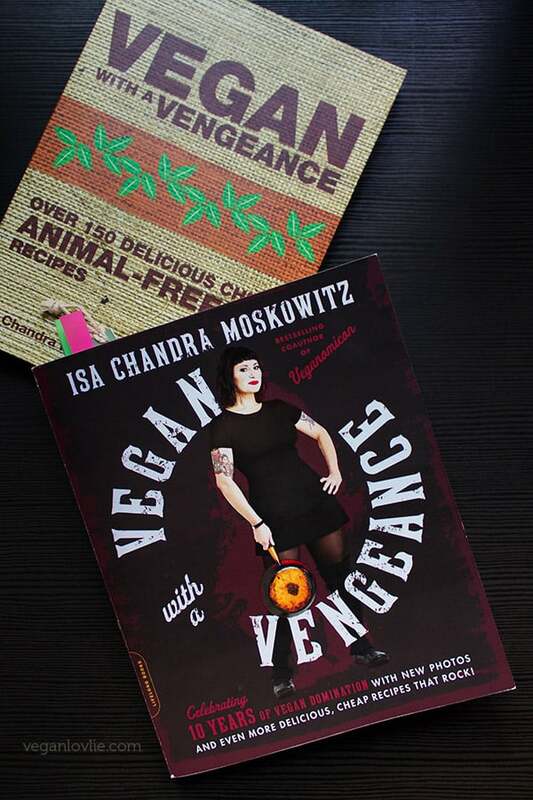 I wonder what percentage of vegans don't have an Isa Chandra cookbook somewhere?! My first vegan cookbook was Vegan with a Vengeance too. I've bought many vegan recipe books since, but I still go back to VWaV. 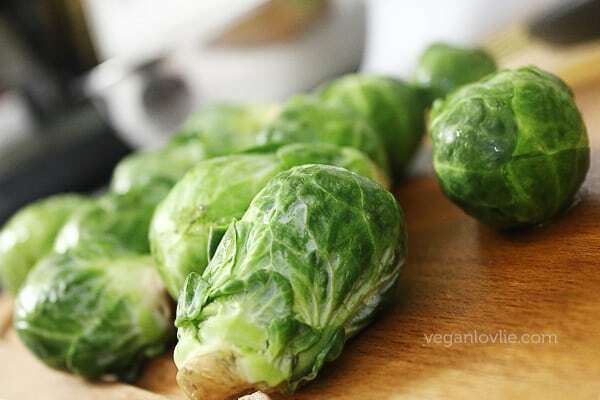 I can't believe I've not made that brussel sprout recipe though – I love brussels! The brussel sprouts recipe is only in the new edition. So, if you have the previous ones, it won't be in there. I was also looking for it in my previous version because I thought I had never come across this one before. So, yeah, there are quite a bunch of new recipes in this one.